After having played many Collectible/Customizable/Trading card games over the last twenty years, I knew that when I got my new iPhone that i was going to have to find a way to satisfy my craving for competitive card battles on the go. I searched the store in hopes of finding Magic: The gathering Duels of the Planeswalkers, but was disappointed to find out that it was only available for iPads. 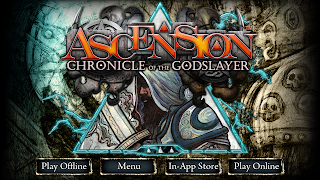 Having played Shadow Era and a few other non-memorable fantasy card games on the Android, I decided that I wanted to try something new. 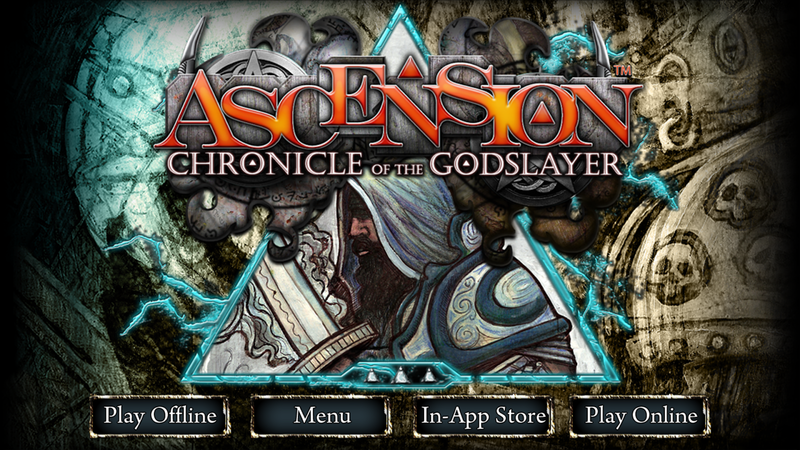 That drive for something new led me to Ascension: Chronicle of the Godslayer, which is coincidentally designed by former Magic: The Gathering pro tour players Justin Gary, Bryan Kibler, John Fiorillo, and Rob Dougherty. It is a deckbuilding game wherein each player starts off with the same deck of 10 cards that consist of 8 Apprentice cards(that provide 1 Rune -the main resource of the game), and 2 Militia cards(providing Power- the resource used to defeat monsters). There is a community deck consisting of 100 cards that each player may acquire or defeat cards from. When you acquire a card, it goes to your discard pile and becomes part of your deck for the remainder of the game(each card also has an “honor point” score to help contribute to your score at the end of the game). When you defeat a monster, you gain a set number of honor points and sometimes an additional reward printed on the card. The cards from the community deck that you are able to acquire or defeat at any given time are determined by a row of 6 face up cards in the center that the active player has priority with. IN addition to these community cards that have different effects to influence the game,the players may also acquire one of two cards- the Mystic(which provides 2 Runes), Heavy Infantry(which provides 2 Power), or a monster card to defeat- the Cultist(which provide 1 honor point). 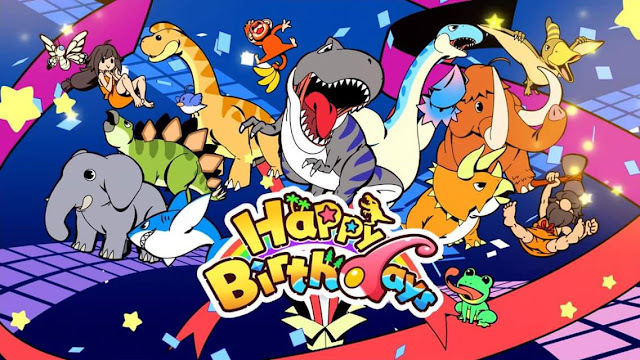 To determine when the game is over, the game starts with an honor point value of 60, and when all 60 honor points have been depleted through defeating monsters and other means, the game tallies up the honor points each player has earned during the course of the game and then adds up the honor values on all of the player’s cards. Whoever has the largest honor value is the winner. The game has a slight bit of a learning curve,but a very informative tutorial built right into the game. I realized that when I first started playing the game that I was just taking whichever cards I was able to acquire or defeat without paying attention to the amazing level of depth and strategy that the game provides. Because of this, I didn’t really like the game at first, but once I started actually paying attention, I fell in love. I’m thoroughly addicted to this game- I have probably played a few hundred games in the few weeks that I have had it, and I haven’t even scratched the surface. There are multiple expansions available(the latest one releasing just last week), and all for affordable prices(there is a $4.99 bundle that is most of the original expansions and 3 promo packs, and the latest expansion is $2.99 and adds new cards and strategies. I’m really looking forward to getting into these. After playing the game for two weeks, i discovered that it was actually a physical game released back in 2011. While i’m sure this was a necessary step in creating a successful game and earning their newfound gaming company funds and fandom, I can only imagine how cumbersome this game must be in its physical form. You’d have to stay on top of tracking every single honor point earned throughout the game, in addition to creating a secondary discard pile for each player to put their “void” cards into. IN addition, all of those common cards I mentioned earlier? Those would be three more stacks of cards to keep track of. This is an amazing game, but i would be less likely to play it as frequently if I had to spend 2-3 times as long setting it up as I do actually playing it. As such, I am glad that they decided to release this as a digital game that runs so smoothly and creates a very addictive experience. There is also multiplayer options(up to four people at once), and an online feature. I unfortunately cannot say much about this as most of the people playing online had at least one expansion, which meant that I couldn't join their games. I did notice, however, that there are different difficulty levels for the computer(green and red), and you can also modify the honor point value at the beginning of the game to give you more options in your game. 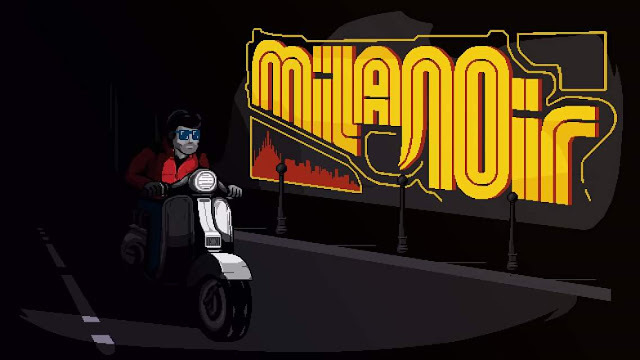 Overall, I would say that this is one of the most in-depth free apps that I have played on iOS or Android, and that the cheap price of the expansions is still a great value for your mobile gaming buck. From memory, you get 5 expansions and 4 expansion packs for $14 + tax, all of which together add a couple of hundred cards to play with.